Every property with “Trump” on it is now a target. Just one bomb blows up up one Trump property and Trump’s uninsurable. If Trump’s uninsurable, the value of his properties collapses. How? Trump will have to sell. Which makes him prey. What once was a $100M building becomes a $25M building because he has to sell it – fast. In fact, he has to sell all of them fast. And everyone will know it: Trump will know he can’t afford to have a second hotel full of employees/guests blown up, and the buyer will know Trump can’t afford to have another hotel of employees/guest blown up. It becomes an instant fire sale. And a literal one. Trump’s kids will be mere pauper millionaires. Even the threat of it is enough. Even if our guys save the day and the bomb doesn’t go off that would do it. Fire sale ON. Quite apart from the financial calamity for the Trump children, suddenly pauper millionaires, there’s the human calamity. How many thousands of people are kidnapping targets now? How many front desk clerks, maids, golf pros, hotel managers? Every single one of these people is now a target because their “boss” is the President. Maybe this phone call did happen and that’s why Trump’s press conference regarding the future of his company which was scheduled today was postponed indefinitely. There’s every reason in the world for him to 100% divest, not the least of which is the ethical one, but really, the fiscal one is what would – and should – send a thrill up his leg: it’s 100% tax free! That’s right! There’s a law that says if you have to divest because you’re an elected official you don’t have to pay any taxes on the sale. Let’s say he would normally pay 39% on the sale. Does he expect the value of his holdings to increase more than 40% over the next 4-8 years? Hard to see how if he’s not going to make “any new deals” (which is what he tweet-promised yesterday). SELL Mr. Trump. SELL. NOW. You’ll get a +40% return. And very likely save some lives. Sometimes doing the right thing can be profitable. This one of those times. Don’t throw it away with both hands. Share the post "Trump Kids One Bomb Away From Being Pauper Millionaires"
Christians underwent their Reformation. It’s time Muslims do too. It’s time. Way past time. That’s what this Democrat intelligence official is saying here, in essence. It’s so obvious to me I’m sort of stunned more people don’t talk about it in those terms. Perhaps they’re afraid framing it in that way would lend oxygen to the Left’s whole “Crusade” accusation of the “radical Right.” Whatever. I’m tired of worrying about what the Left will say. [Bleep] ’em. Say what you mean and mean what you say. Say it plainly. We’re not a stupid people (mostly;). Our deep sense of fairness will more than make up for whatever stupid bubbles up. We’re good at fair, we Americans. We have a remarkably good sense of it. So let’s trust the people, hm? You can read my excerpts below or the whole thing here. Via The Los Angeles Times. Bryan Dean Wright is a former CIA ops officer and member of the Democratic Party. Follow him on Twitter @BryanDeanWright. …Islam is a faith in crisis. Flynn’s poorly worded warning stems from experience, and he knows what happens when religious leaders take over governments. Women face widespread discrimination. Gay people are imprisoned or killed. Dancing, music and other forms of art are banned. And those who criticize Islam or convert to Christianity face prison or death. The United States has also suffered the consequences of Islamist extremism and those inspired by the radical ideology. We remember San Bernardino. 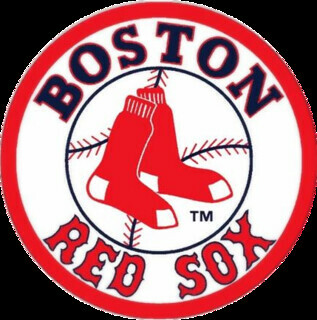 Boston. Ft. Hood. Little Rock. Garland. Chattanooga. Ft. Dix. Orlando. Shanksville. New York. Washington. Muslims have every right to sit at the American table if they support the Constitution. We should all proudly acknowledge brave women and men like my former CIA colleague who led our nation’s war on terrorism for more than 15 years; he’s Shiite Muslim. This officer — whom I can’t name because he’s still officially under cover— was ruthless in his hunt for radical killers, and he deserves a medal for his years of sacrifice. Are we at war with the whole of Islam, or should we be? Of course not. But Islam is a faith in crisis, and to deny that certain strains of the religion are contributing to global instability is to deny reality. After eight years as president, Obama still doesn’t understand that. Share the post "Democrat Spook to Obama: WAKE UP"
Is it Any Wonder Nobody Watches These Clowns? 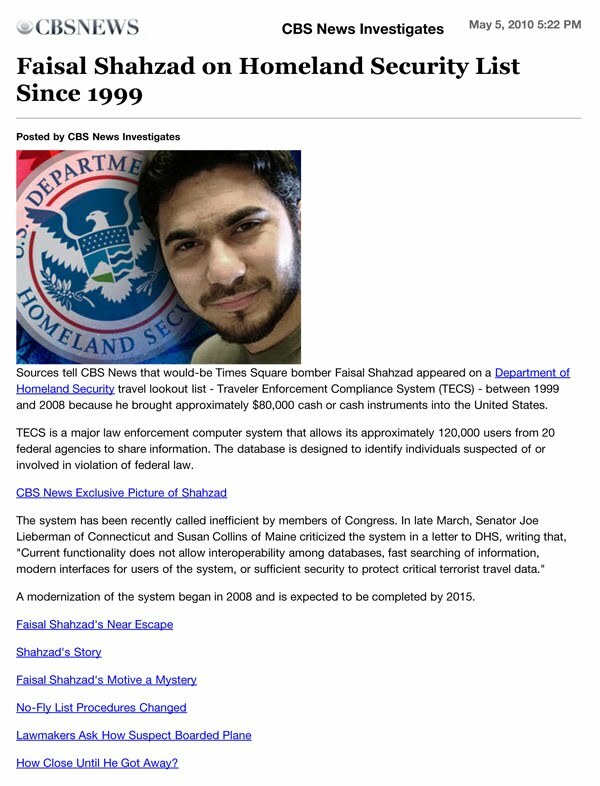 This is a screen capture of CBS News website at just before 3pm Thursday 05/06/10. See the problem? Let me help you. It’s the headline. Still stumped? Ready? There was no Department of Homeland Security in 1999. It was created after the attacks of September 11, 2001. Murrow must be rolling over in his grave. This page went up at 5:22pm on May 5. Down in the comments section (not captured here, sorry) someone had posted as early at about 11am on May 6 that they noticed the error, too, which makes it even worse, because that means that at least four hours had passed from the time that comment was left to when I happened upon the site and saw the error. So it went overnight without anyone catching it, then all the way until after the CBS morning news had reported it and beyond. Adding to the circus like inanity of the webpage, also not captured here, unfortunately, is the smiling visage of that cougar herself, one Miss Katherine Couric of the clacking heels and faux perkiness. Never mind the content of the headline which tells us that Janet Planet & O are asleep at the friggin’ switch, even in the wake of their public declarations to have a “stem to stern” look-see at DHS after the underwear bomber at Christmas time. Maybe we could borrow 60 minutes tick-tick-tick stopwatch from down the hall there at CBS to clock how long it will take before they fix the error. You can check here. Share the post "Is it Any Wonder Nobody Watches These Clowns?" … I just finished it this morning. 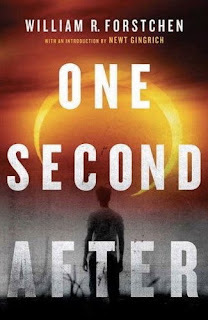 One Second After by William Forstchen. It’s about what happens in the event of an “EMP” which is and Electro Magnetic Pulse. EMP is what happens when you burst a nuclear bomb 25+ miles up in the atmosphere. It fries every computer chip and electrical circuit but does not actually “destroy” anything with shrapnel or nuclear fallout. It just kills everything with any kind of computer circuitry in it. Fried. Dead. The only cars that work are those built prior to 1980 or so, before they started using computers in the engines. The only phones that work are those that run on copper wires. The only radios that work are those with vacuum tubes. Planes fall out of the sky. People on surgical tables die because all the equipment attached to them stops working. All the diabetics die because they run out of insulin. Everyone on Prozac finally, really, truly, does go insane. Elderly Alzheimer’s patients with monitoring bracelets on wander into the woods never to be seen again. Antibiotics run out. Food runs out. Ammunition runs out. EVERYTHING runs out because everything we produce relies on computer controlled machinery to produce it or we have it imported. Everyone is isolated, filthy, dying, and insane. It’s a real ray of sunshine! Share the post "This book will scare the hell out of you…"